You probably already know that eating superfoods brings a vast array of amazing health benefits. But did you know that using superfoods as part of your skincare routine can also be beneficial? 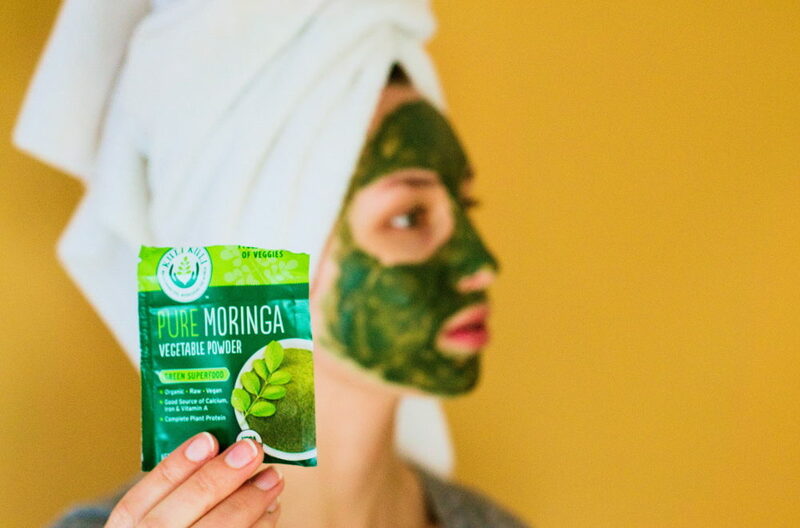 Superfoods such as moringa and spirulina also offer amazing benefits when applied to the skin. 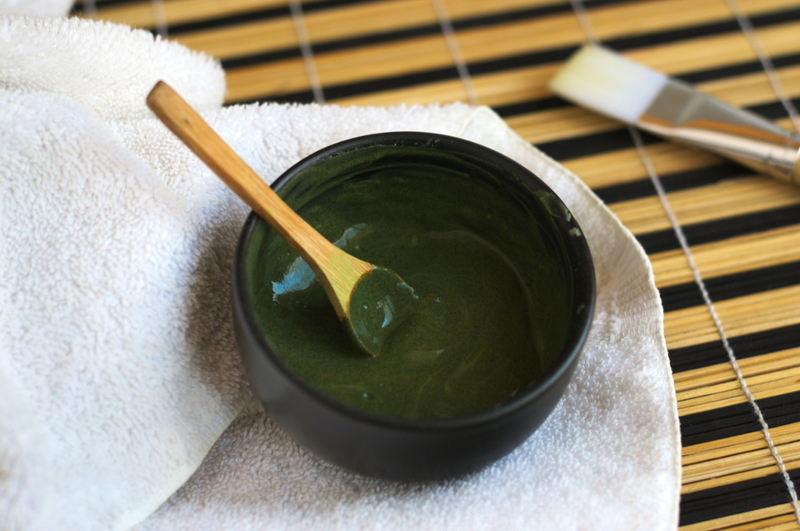 Try out this superfood face mask to detoxify and revitalize your skin. 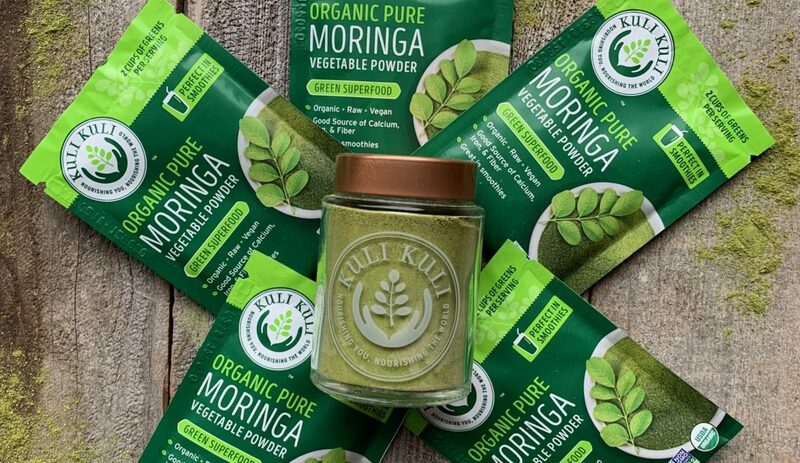 Moringa and spirulina are both nutrient-rich superfoods–packed with vitamins, minerals, proteins, antioxidants, and more. We know these nutrients are effective when orally ingested but the skin also benefits from having nutrient-rich foods applied topically! One study found that BOTH oral ingestion and topical application of antioxidants provides significant improvements in skin health. The same study concludes that a combination of eating antioxidant-rich foods and applying them topically to the skin provides the best results for skin health. That being said please do not eat this mask! It is intended for external application only. Bentonite clay has a negative charge when mixed with water, which allows it to draw toxins and impurities out of the skin, reducing shine from oils and tightening pores! Because of this negative charge, you must be sure not to use ANY metal utensils while handling the clay. This will mess with the charge and make the clay less effective. Use glass, wood, silicone, or plastic mixing bowls and utensils for this mask! Apple cider vinegar has antibacterial and antifungal properties that can prevent acne. ACV is also mildly acidic which balances the PH levels of your skin and reduces acne scarring and age spots! Add the apple cider vinegar and water. You may need to add more or less water depending on your clay. 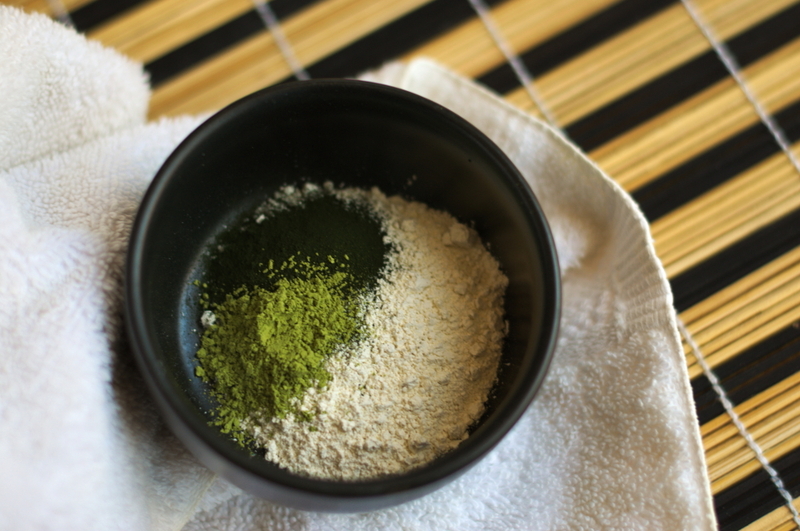 Cover the mixture and let sit for 15 min to hydrate the chlorella and moringa. This allows the mask to have a more even consistency when applied. Take this time to wash your face, removing any dirt, grease, or makeup. Check the consistency of your face mask mixture. It should be a muddy consistency, spreading evenly in a thin layer over the skin. Test it out on the back of your hand to see if your mixture is too runny or too dry! Once the mixture is ready, apply all over your face–avoiding your mouth and the soft skin under your eyes. If you find the smell of the apple cider vinegar is too strong, also avoid the area between your mouth and nostrils! Relax and let the mask dry for 15-20 min. The mask will start to tingle and tighten as it dries. You will feel the increased circulation! Once the mask has completely dried, wet a washcloth with warm water and gently remove the mask by massaging your face in small circles. Use a dark washcloth for this step, a light colored washcloth may get stained! After removing this face mask, your face may be red. Like, sunburn red. Don’t worry, this is normal! 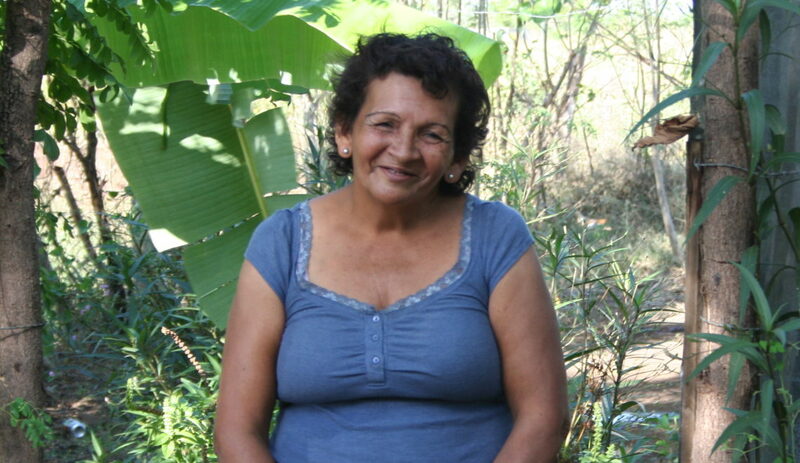 The negative charge of the bentonite clay will pull the circulation into your face. The increased blood flow in addition to removing the mask will make your face red for a little while. To soothe the redness and hydrate, use a gentle moisturizer after removing the mask! We hope you try this mask during your next #selfcare day or just in general to #treatyoself. Because you deserve it. If you try this mask, post a selfie and tag us on Instagram! We can’t wait to see your radiant, glowing faces! I am going to try this..I just started using moringa and I made the powder into a mask. Would you suggest leaving on overnight? You are really beautiful I would love to know how this mask has been working for you.